Caution! You are about to enter a no spin post on religious beliefs that might be deemed offensive to some. However, that is NOT my intention with this post! As always, my intent is to share God’s Word, the Bible, Jesus Christ – His Son, and various ways in which the gospel message is being shared these days in order to bring people towards an understanding of the message of salvation. Therefore, it is my hope that readers who may disagree with what I write at least respect my Constitutional right of free speech, freedom of association, and religious freedom to share what I am about to discuss. I have been reading Dr. David Jeremiah’s Study Bible (NKJV), which was published in late 2013. I am so pleased with the 40 years of knowledge and study notes that Dr. Jeremiah has in this wonderful study Bible! I recently read about some alarming statistics published in the BIOLA University magazine. Not sure if it can be trusted, though, because the leader of the study has also written a progressive-type book criticizing Christians on social issues. Anyway, according to a research firm by BIOLA alumnus David Kinnaman (’96) and commissioned by the American Bible Society, close to 40% of Millennials NEVER read the Bible. Among Boomers (like me), the “never read the Bible” readership is around 26% – which concurs with the percentage of U.S. adults, overall, who never read the Bible. Elders can be proud of the fact that close to 25% read the Bible every day, and about 18% read it every week. Boomers (my age group) is listed at 18% read the Bible every day and 15% every week. The very sad news is that only a paltry 8% of Millennials read the Bible every day and 9% read it every week. Unfortunately, such apathy leads to skepticism towards Scripture. But how would such individuals know that they should be skeptical about what is written in the Bible when they haven’t even read it? These people are missing out on the most important information that they could read, learn, and study about in the entire world! There is a big reason why the Bible is the world’s best selling book! Much of what I do, say, read, and write about these days is influenced by Scripture. Sometimes, I need to clarify certain beliefs that others may disagree with, and that can be a tough issue to deal with. People can dismiss what Scripture says about any moral, social, political, spiritual and intellectual issue simply because they choose not to believe what the Bible says about such topics. A few times, I have been asked, “why do you believe what you believe?” It can be difficult to sum up my reasons in just a few words. Often, the conversation goes off into various directions where it can be difficult to continue answering such a question accurately. But, at least, it can serve as a starting point towards an ongoing conversation in the future. I like to seek out Pastors, preachers, writers and even Rabbis who are more knowledgeable about Scripture than I am when it comes to studying the Word of God. Several months ago, in fact, I started DVR-ing a television show on the DayStar network called Discovering the Jewish Jesus. You can read about Rabbi K.A. Schneider, who is a Messianic, Jewish believer in Jesus and end-times messenger of the LORD, who dedicates to life to delivering the Word of the LORD with true passion of the Holy Spirit. Through understanding the Old Testament and its prophetic nature, with Yeshua as its fulfillment, your faith is strengthened, increased relationship and intimacy with the LORD is discovered, and an end-times vision of life is crystallized. This is an end-times ministry, strengthening the church and calling her to be a readied bride for the return of the Bridegroom, Yeshua Ha-Mashiach (Jesus The Messiah). and empowering her to be a greater witness to both Jews and Gentiles. I have learned SO MUCH from his television show on DayStar! The three-part series on how Jews celebrate Passover, and how Jesus actually fulfilled the Passover was amazing! Information Your search included the special search operator NOT. Click here to show results without using this special operator. And, at the very top, under the heading of “Ads related to The Jewish Jesus – Rabbi Schneider” was a link (in the middle of 3 ad links) to Jews for Judaism. The site is dedicating to countering Christian missionaries (and, obviously, Messianic Rabbis like K.A. Schneider) in order to claim that Jesus could not have been the awaited Messiah of the Jewish people. After reading their counter messages on just the front page, I could probably refute a lot of what is written there because of my own 20 years of Bible study, as well as what I have learned from Pastor David Jeremiah, Rabbi Schneider, and many more Pastors, scholars, and Christian apologists. The Messiah must be a member of the tribe of Judah (Genesis 49:10) and a direct descendant of King David & King Solomon (2 Samuel 7:12-14; 1 Chronicles 22:9-10). Genealogy in the Bible is only passed down from father to son (Numbers 1:1-18). There is no evidence that Jesus really had this pedigree, and the Christian Bible actually claims that he did not have a “birth-father” from the tribe of Judah descending from King David and King Solomon (Matt. 1:18-20). From what I have learned, Jesus’ mother, (being born of the tribe of Judah and a descendant of David) Mary fulfilled this requirement. The fact that Jesus was conceived of the Holy Spirit of God without spot or blemish (of sin), is crucial to His mission to be the unblemished Lamb of God who takes away the sins of the world and to take those sins upon Himself and die for the sins of the world. That is what the sacrificial lambs in the Old Testament were about. They served as a temporary atonement for the sins of the people. However, Jesus’ atonement was once for all and final. Now, I haven’t researched that site past the first page, but I wonder if knowing that Jesus is BOTH the Offspring of David and the Root of David via the book of Revelation would help them realize that Jesus is exactly who He says He is? In fact, Isaiah 53:1-12 contains the prophecy of the suffering Servant – Jesus Christ! The Suffering Servant or “the Man of sorrows” prophecies of Jesus speak of the necessity for the Servant to suffer for the sins of the people. Isaiah prophetically spoke of the shameful trial of Jesus before Pilate, of His silence before His accusers, of His shameful treatment by the rulers, and of his slaughter as a lamb on the cross for all of us (Matt. 27). The author’s primary concern is not the suffering, however, but Jesus’ amazing triumph over suffering. The Suffering Servant was despised and rejected , so He can relate to people on a very personal level when they are dealing with pain and grief. Isaiah uses physical terms – “by His stripes we are healed” – to describe what Jesus did when he took human sin on Himself and died in our place (2 Cor. 5:21). Scholars call this the “substitutionary atonement” of Christ. Verse 5 also describes what happens spiritually when sinner experience salvation. Sins are forgiven. Atonement is applied. The whole person is spiritually healed. But there is a physical dimension to Christ’s atonement as well. Physical healing will come in the future, when we receive our resurrection bodies (1 Cor. 15). Is that awesome or what??? There are many more examples that I could share of where the Old Testament prophets shared prophecy that was fulfilled by Jesus Christ! There are over 300 prophecies that are meant to be fulfilled by the Messiah. And, in one case the writer over at Jews for Judiasm had it right! Jesus has NOT fulfilled all of the prophecies yet. The reason being is that all the rest are to be fulfilled at His Second Coming! Question: Has God’s will ever been completely done on earth, as it is in heaven? Answer: No. That is exactly why the Millennium, where Jesus serves as ruler over all of the nations at His second coming will happen. It will fulfill God’s promises to both Jewish and Gentile believers – and if you watch that segment you will learn much more! My advice? Open the Bible and read it! This video exchange between Congressman Trey Gowdy and Mr. Koskinen of the IRS cover-up is SO AWESOME that I just had to reblog it here! THAT WAS AWESOME!!! Congressman Trey Gowdy is a Constitutional, Liberty, and Freedom hero in my book! He has the courage, wherewithal, FACTS, and ability to hammer these commie fascists in the Zero Badministration with the TRUTH. Thanks for posting this “smidgen” of the hearing, Steve! Saves me from having to sit there and hear all the lame-a$$ Dems – who have obviously grown up with a diminished capacity to seek, hear, or comprehend the truth – twisting in the wind with their lies and claims that there was no wrongdoing or criminal cover-up. Just can’t take it anymore! Beyond Iraq, what is the intent of the Islamic State of Iraq and Syria? Recall all of the naysayers who criticized, mocked, and demeaned President George W. Bush when he stated that (paraphrased here) ‘we will fight them over there [Iraq] so we won’t need to fight them here in America’? If you think that the current ISIS terrorists are planning to stop their radical Islamic caliphate in Iraq, then you aren’t paying attention! WASHINGTON – Beyond Iraq, what is the intent of the Islamic State of Iraq and Syria? There appears to be short- and long-term goals, with a hint of those intentions in the name ISIS has chosen for itself. Its real name is the Islamic State of Iraq and the Sham, meaning Greater Syria. ISIS, morphing from the Islamic State of Iraq before it was excommunicated from al-Qaida central in Pakistan last year for its extreme Wahhabi brutality, appears to have intentions of re-creating Greater Syria into an Islamic caliphate, subject to strict Shariah law. Historically, Greater Syria, corresponding to Greater Assyria, included all of the Levant and Mesopotamia, or modern-day Iraq. The Levant incorporates the Eastern Mediterranean countries of Cyprus, Israel, Palestine, Lebanon, Syria and Jordan, parts of Turkey and northeast Africa, including the Sinai Peninsula. Already, the terror group’s lightning attacks span from northeast Syria into western and central Iraq. It is knocking on Baghdad’s door and could potentially head further south to take over those oil refineries that provide oil to the world. At that end, there’s also Sunni Kuwait, which deposed Iraqi President Saddam Hussein once referred to as Iraq’s 13th province as justification for invading the country. At the same time, there’s concern that ISIS will move into Jordan where there is major dissatisfaction of the reign of King Abdullah II bin al-Hussein. The king’s concerns are so great that he has requested U.S. military assistance to prevent it from becoming part of ISIS’ Islamist caliphate. There are reports that the leader of ISIS, Abu Bakr al-Baghdadi, already is meeting with his war planners to determine what it will do beyond Syria and Iraq. According to informed sources, al-Baghdadi’s top director of operations in ISIS’ blitzkrieg from Syria and now into Iraq is Al Nasir Li Din Allah Abu Sulayman. According to sources, Abu Sulayman’s real name is Neaman Salman Mansour al-Zaidi. He may be Moroccan with Syrian citizenship. Sources say that after Iraq, ISIS may focus on Jordan, which shares borders with Iraq and Syria, making it easy to invade the country. ISIS already has publicly called for the execution of Jordan’s King Abdullah, blasting him as an infidel and apostate. A recent ISIS YouTube threatened to “slaughter” the king. Many of those appearing in the video were Jordanian citizens who tore up their passports in front of the camera and promised to launch suicide attacks inside Jordan. Beyond Jordan and the immediate Greater Syria region, there is concern among security experts that ISIS’ success will spawn spinoff groups similar to it in other countries. That’s because ISIS’ rapid successes have inspired other jihadist groups to join its bandwagon and attract new recruits from young, unemployed youth in those countries, numbers of which are massive. It certainly would be the case in Lebanon where WND recently visited as unemployed Syrians escaping the civil war next door looked for means to survive alongside Palestinians in their camps where unemployment is said to be 90 percent. I suggest reading the entire article. However, the following excerpt (along with a quote from 0bama at a link below) is scary and eerie! “ISIS is a threat not only to moderate Arabs and Muslims, but also to Israel, which the terrorists say is their ultimate destination,” according to regional expert Khaled Abu Toameh of the Gatestone Institute. “The U.S. and its Western allies need to wake up quickly and take the necessary measures to prevent the Islamist terrorists from achieving their goal,” he said. Beyond the region, what other goal does ISIS have? An indication of that comes from Army Col. Kenneth King, who was commanding officer at Camp Bucca in Iraq where Al-Baghdadi was in a U.S. custody. Recall when 0bama stated that he was more concerned about a nuke in New York? See: Buzzfeed.com: 0bama is more concerned about a nuke in New York. He said that back in March, 2014! People, we are surely witnessing Bible Prophecy! Read a disturbing article today over at Fox News.com which is entitled Presbyterians narrowly vote to divest from companies used by Israel. It is about a Presbyterian group (a Christian denomination here in the U.S.) that is “punishing” businesses in Israel (through divestment) because they are protesting the lack of progress of a “two-state solution” for a Palestinian state alongside, and with, sections of the land of Israel. The Bible says there is only one God even though there are many false gods in this world. The Bible also says the Lord has only one body or church even though there are many false counterfeit bodies or churches in this world. Ephesians 5:23 says that Christ “is the Saviour of the body”, which is His one body, His one church. Christ is only going to save His one church, and not any of the counterfeit churches. Christ “loved the church and gave Himself for her” (Ephesians 5:25). Jesus Christ did not die for or establish any of the 28 Baptist Churches which men have begun during the past 500 years. Baptist Churches and the other denominations are of human origin and have no scriptural authority to exist. What??? The person who wrote that essay thinks that “Baptist churches and other denominations are of human origin and have no scriptural authority to exist” ??? Oh my…. is that a blatant attempt to disrespect and dismiss other Christian denominations or what? Being a member of a non-denominational Christian church has its benefits. God’s Word trumps church “rules” and opinions, and that’s a good thing. Answer: The name “Presbyterian” applies to a diverse group of churches that adhere in some degree to the teachings of John Calvin and John Knox and are led by representative elders (presbyters) of their congregations. Within the broad category, there are some which can be considered conservative or fundamental, and some which would be called liberal or progressive. On the conservative side is the Presbyterian Church of America (PCA), with about 335,000 members in 1,700 congregations, while the Presbyterian Church, USA (PCUSA), with 2.3 million members in 10,000 congregations, is more liberal. Several smaller groups have formed over the years and cover the spectrum of beliefs and practices. Well, that certainly explains all of the confusion that apparently abounds in the PCUSA. While most Presbyterian churches will agree on general themes such as the depravity of man, the holiness of God, and salvation by faith, there is wide divergence in how they define and apply those themes. Some churches treat sin as a disease and essentially erase any personal responsibility, while others hold a firm line that sin is a violation of God’s unchanging law. Some teach that the Bible is verbally inspired of God, and therefore infallible, while others teach that it is man’s book and therefore subject to error. As with any other church, a person would be well advised to carefully examine not only the formal statements of doctrine, but also the practical implementation of those doctrines to determine whether a church is conforming to Scripture (1 Thessalonians 5:21). The following paragraph in the article leads me to believe that most Reform Jews here in the U.S. are of the same belief as Bible-based Christians – who believe that Israel should NOT be divided; and that “land for peace” efforts given to the Palestinians won’t work anyway (especially now that the terrorist group Hamas is a partner in the so-called “peace” process!). It really angers me when certain Christian denominations (e.g. the Presbyterian group) do things like this! They are NOT following God’s Word on this issue!!! This is what happens when people and denominations drift away from the Bible! They are not acknowledging Deuteronomy 26:15-19! We first got into this discussion several weeks ago when she told me that the Christian church where her daughter attends doesn’t include any study of the book of Revelation. Therefore, her daughter does not think it is important to read or study it. I think that is VERY disappointing to hear! In fact, I had attended a women’s Bible study group at that church several years ago, not even knowing that the pastor of the church refuses to share the valuable information in Revelation! What a shame for him to allow his congregation to miss out on the book that we are told will bless us when we read, study, and heed it’s contents! There are several books on the market where writers share their thoughts and interpretation of Revelation. However, one must be careful that the authors aren’t either “adding to” or “subtracting from” the Scripture. There is a warning about both errors at the end of the last book of the Bible. and if anyone takes away from the words of the book of this prophecy, God shall take away [fn] his part from the Book [fn] of Life, from the holy city, and from the things which are written in this book. Serious consequences! This is why Bible scholars must utilize the important basics of Bible study and interpretation; including proper exegesis, Scripture interprets Scripture, hermeneutics, and use of a Bible Concordance to grasp the original meaning of words in the Bible – both Hebrew and Greek. At the beginning of the book, we are given a promise in Revelation 1:3! My question. If a pastor of a church does not share the book of Revelation with his congregation, then how can his flock “heed the things which are written in it”? So, at the beginning of Revelation, we are encouraged to hear and heed the words of the prophecy; and we will be blessed by it. At the end, we are given a warning not to add nor subtract from the writings of the book. Therefore, we must be diligent and discerning when searching out biblical scholars who take the task seriously enough to help us understand what is written therein. Can be a scary endeavor, but I think that NOT reading and studying the book of Revelation precludes us from the blessings that we would receive! 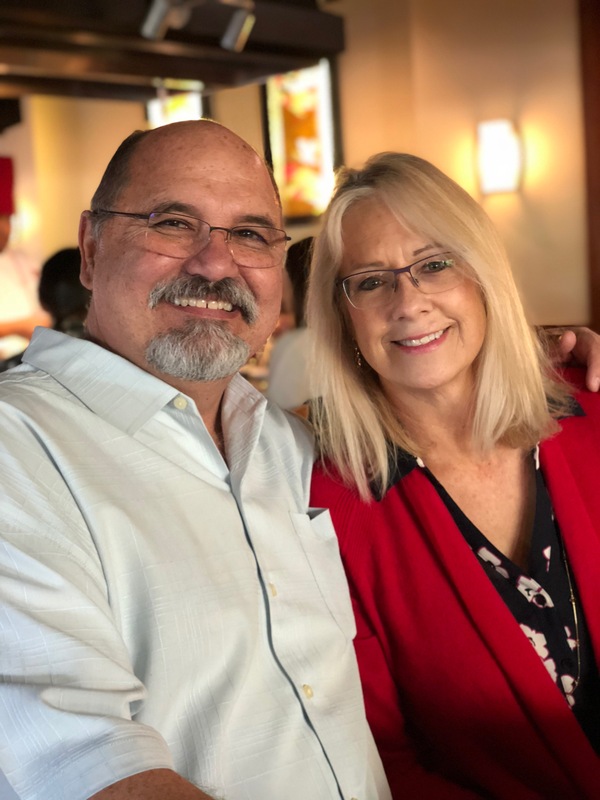 One of the best books that I have ever read is called, “The Book of Revelation: Unlocking the Future,” written by two trusted biblical scholars – Ed Hindson and Mal Couch. In the introduction, they discuss that the key to interpreting the Apocalypse (another word for Revelation) is discerning what is literal and what is symbolic. Even then we must remember that the symbols themselves depict real people, things, situations, and events. For example, the “seven lampstands” (1:20) symbolize real churches that actually existed when the book was written. The “male child” (12:5) is Jesus Christ. The sounding of the “seven trumpets” (8:2-11:15) results in the actual devastation of the earth. I like that! It tells me that they do not intend to do that in this book. They talk about proceeding with both guarded caution and keen insight. The “book of unveiling” is meant to be understood! Thus, the promise: “Blessed is he who reads, and those who hear the words of the prophecy, and heed the things which are written in it” (Rev. 1:3). Each time I have read Revelation, as well as each time I have read this particular book about it, I have learned more and more! I am blessed time and time again. After almost 25 years of Bible reading and study, I know that I have never “arrived” at knowing all that God’s Word has in it to tell me! Can’t say that about any other book on earth – that’s for sure! Future: “the things which shall take place after these things” (chaps. 4-22). The authors go on to give examples of symbolic numbers which are found everywhere in the Apocalypse. The most significant numbers are 3 and 7. Three is the symbolic number of the Trinity. Seven is the most significant because it represents the number of completion. The authors go on to share Bible verses where these numbers are used and why they are significant. This is not “numerology” which is used in satanic activities such as taro cards and witchcraft. Such things are meant to counter the truth of God in the Bible and draw attention away from Christ and God’s Word. The number 12 is the number of completeness. For example, the twelve tribes of Israel, twelve apostle of Christ, twenty-four elders (a double twelve), tree of life has twelve types of fruit (22:2). New Jerusalem has twelve gates guarded by twelve angels (21:12), the city has twelve foundations (21:14). Then, there are multiples of 12 (e.g. twelve tribes contains 12,000 people, making a total of 144,000 (12,000 times 12); the wall measures 144 cubits (12 times 12). In chapter 7 – “From Tribulation to Jubilation” the authors discuss the Postmillennial, Amillennial, and Premillennial views of Christ’s return. This is another thing that I like about this book. Whenever there are possibly some differences (e.g. regarding the Rapture of the Church), it is cited. With all of the turmoil going on in the Middle East (especially recent news about the progress of terrorism and the goal of the Islamic Caliphate), it is wise to know what the Islamic Caliphate is all about. However, it is even more important to have the knowledge of the Word of God, what the Bible says about the end times, the prophetic role of the state of Israel, and most notably, what we need to know about the return of Jesus Christ! This book is one of the best that I have ever found on the topic. Dr. Hindson holds 3 doctorates on biblical history and prophecy. What he and Mr. Couch share in their book is eye-opening, and will help you to understand the book of Revelation much faster than just reading Revelation (although I recommend doing that too!) alone. 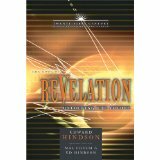 1 “The Book of Revelation: Unlocking the Future,” by Ed Hindson and Mal Couch. AMG Publishers, Chattanooga, Tennessee, Copyright 2002 by Tyndale Theological Seminary, p. 3. In my previous post there is a graphic that shares the Bible verse from 2 Corinthians 4:6. Notice that the verse in the graphic version begins with, “For God, who said.” In the NKJV, the verse reads, “For it is the God who commanded.” This is instruction for us feeble humans – that we are to let the light of the Gospel of Jesus Christ shine out of the darkness that surrounds us within our own hearts, as well as with the lost in this fallen world. 2 Corinthians 4:6b – who has shone in our hearts to give the light of the knowledge of the glory of God in the face of Jesus Christ. III. A proof of their integrity is given, v. 5. They made it their business to preach Christ, and not themselves: We preach not ourselves. Self was not the matter nor the end of the apostles’ preaching: they did not give their own notions and private opinions, nor their passions and prejudices, for the word and will of God; nor did they seek themselves, to advance their own secular interest or glory. But they preached Christ Jesus the Lord; and thus it did become them and behove them to do, as being Christ’s servants. Their business was to make their Master known to the world as the Messiah, or the Christ of God, and as Jesus, the only Saviour of men, and as the rightful Lord, and to advance his honour and glory. Note, All the lines of Christian doctrine centre in Christ; and in preaching Christ we preach all we should preach. “As to ourselves,’ says the apostle, “we preach, or declare, that we are your servants for Jesus’ sake.’ This was no compliment, but a real profession of a readiness to do good to their souls, and to promote their spiritual and eternal interest, and that for Jesus’ sake; not for their own sake or their own advantage, but for Christ’s sake, that they might imitate his great example, and advance his glory. Note, Ministers should not be of proud spirits, lording it over God’s heritage, who are servants to the souls of men: yet, at the same time, they must avoid the meanness of spirit implied in becoming the servants of the humours or the lusts of men; if they should thus seek to please men, they would not be the servants of Christ, Gal. 1:10. The Bible instructs us on every “humour” or “lust” of men; so we are without excuse for not recognizing them. The concept of elevating a person (or self) above God has plagued man from the time of the Garden of Eden. Even before that, an angel of God named Lucifer desired to be worshipped, rather than worshipping the Creator, so he was cast out of heaven along with the rebellious angels who became his demons. Their goal? To attempt to steer mankind away from God. Satan knows he is doomed and misery loves company. We have examples throughout history of people who would deem themselves some type of god. When such a person gains followers, it becomes a cult. Recall just two of them. The People’s Temple run by cultist (and crazy-man) Jim Jones who forced his followers to drink the poisoned Kool-Aid and die, and the Heaven’s Gate cult that ended up committing group suicide fifteen years ago. “The thief does not come except to steal, and to kill, and to destroy. I have come that they may have life, and that they may have it more abundantly. Cults (or anything else) that seek to “steal, kill and to destroy” are not of God – they are of the thief – who is attempting to take people away from God. Thus, the examples of The People’s Temple and Heaven’s Gate are cults that took away the lives of those who foolishly and disastrously, followed the lies of men. For certain men have crept in unnoticed, who long ago were marked out for this condemnation, ungodly men, who turn the grace of our God into lewdness and deny the only Lord God [fn] and our Lord Jesus Christ. The list of examples could take days! However, I want to share one of them. Miles told Todd that when the crowd of atheists and God-haters at the Democratic National Convention (in 2012) booed God (because delegates in Charlotte had previously voted God out of the party platform) when He was reinstated into the Democratic platform, God’s approval rating was only polling at 10 percent. Therefore, they decided to immediately implement a top-secret program–code name G-O-D.
Todd was dumbfounded and wondered how in the world they could do something so brazen, so blasphemous, so unconstitutional? The answer was that Obama is a young man and will need to do something to earn a paycheck after he leaves the White House. Miles went on to say that a few hours after Obama signed an executive order declaring himself to be America’s lord and savior, the earth started shaking. Todd asked how someone even goes about creating a new religion. “What about the Muslims?” I (Todd) asked. “Um, yeah, we’re not going to touch the Muslims,” Miles said. You need to get the book to read the rest of the chapter. The “good back story” being used to fool people into such a political cult is truly ridiculous. But it serves the point that the media of mass deception is so far out in the leftist propaganda ozone, they would actually print up front page covers that espouse Obama as ” The Second Coming,” and “In Obama We Trust,” and history should be named “Before Obama” and “After Obama.” With the MSNBC (messianic savior named Barack channel) being bought by the badministration, no wonder only 10% of the public in a recent poll trust that particular cable news channel! Townhall.com: 7 Examples of Discrimination Against Christians in America. Todd Starnes has several chapters on gay activist hate against Christians. Please note that I AM NOT IMPLYING that this means that all homosexuals are activists of this type. But the most vocal ones are the most discriminating bigots and haters that I have ever seen in action on the cultural and political stage. For those who may not be paying attention, the gay rights vs. religious rights war is escalating towards a terrible degree; wreaking havoc and horrible results across our nation. Like this particular topic or not, it’s front and center in culture and politics. Just put “gay rights vs. religious rights” into the StartPage search engine, and over 21 million results come up! Jesus told us that the signs of the times would be as “As In the Days of Noah,” and “As In the Days of Lot.” If you read those posts, you will find the subject of homosexual sin (as well as other immorality and sexual sins) evident both times in biblical history. At my former Talk Wisdom blog, I have been warning about the militant homosexual agenda for over 10 years. People have pooh-poohed the idea that it would ever get so bad that religious rights would be taken away, and/or people of conscience and faith in biblical truth would be fined in courts or even jailed as a result of adhering to their religious beliefs. And, it’s not only in the public or political spectrum where Christians are being persecuted on this issue. It’s even gone so far as to affect the churches! To see it advance as far as it already has is very troubling, scary, and disconcerting. There are so-called “Christian” churches and/or groups that affirm homosexuality, and their goal is to silence the Bible-based believers and churches. The following video was posted at my former blog back in 2005. When I read Dr. David Jeremiah’s book “I Never Thought I’d See The Day – Culture at the Crossroads”, I came to realize that the three D’s – deception, division, and destruction are Satan’s favorite tools in the spiritual war against those who believe in Jesus Christ. Satan is the great deceiver. John 8:44 records Jesus’ reply to a group of Jews who were resisting His message. Jesus boldly told them that they were children of their father the devil, and that they were not hearing the truth because their father’s native language was lies. Revelation 12:9 refers to Satan as the one “who deceives the whole world,” which he does by imitating the work of God with counterfeit and camouflage. The key thing to realize is that once people fall for those who do Satan’s bidding, they are led astray and away from God. Spiritual deception may be Satan’s most insidious weapon in his guerrilla warfare against us. Jesus and the apostles speak of it nearly thirty times in the New Testament. One of Satan’s greatest deceptions today is leading people, even Christians, to believe he does not really exist or that he isn’t as bad as he’s made out to be. The problem is, deceived people don’t know they’re being deceived! Undetected deception makes us extremely vulnerable because we do not know the enemy is even there, which means we neither watch for nor erect defenses against him. The continual deception of the great deceiver requires constant vigilance and dependence on the Word of God and the Holy Spirit. If a person has not been born again – as Jesus told us was necessary in John 3:3, then THE most powerful weapon against spiritual deception is missing in that person. The Holy Spirit indwells believers and helps to guide them unto all truth through discernment strength when studying the Bible. I hear people often say that they don’t “understand” the Bible, or they “disagree with” some of what the Bible teaches. Why? Because they have not submitted to the Lordship of Jesus Christ. Until that happens, the revelation in the Bible that points to Jesus Christ as the long-awaited Messiah will just sound like a “horrible (crucifixion) turned nice story (resurrection) to them. When I grew up in the Catholic church, Bible study wasn’t emphasized as much as the catechism of what the church taught. That is why I was personally confused about the crucifixion of Jesus. I can remember looking up on the front wall of the church, seeing the huge image of Jesus Christ being crucified on the cross and thinking, why did he have to die such an awful death? My confusion about this remained until I was invited to a Pentecostal church by a friend I had met at work. Previously, I had not known what it meant to be born again. Years after I took that step, the Lord led me to a Bible study in my neighborhood. It was during the inductive study of the book of John that I re-dedicated myself to Jesus Christ. Satan is the great divider. Satan has always been a divider. When he was cast out of heaven he divided the angels, taking a third into rebellion with him (Revelation 12:4). He divided the first couple, bringing sin and disharmony between Adam and Eve. He divided the first family, pitting Cain against Abel (Genesis 4:8). In the early Church, Satan influenced the heart of Ananias, dividing his loyalty between God and money (Acts 5:3). Satan continues all three of these deceptions today. Deception against the goodness of God through dividing people away from Jesus Christ through various ways (i.e. false religions, mocking Christ, atheism, the LGBT agenda, etc.) is increasing at an alarming rate. Dividing couples is seen through the breaking of an oath to a spouse through the rampant divorce rate, adultery and other forms of sexual sin (including homosexuality, bisexuality, lesbianism, transgenderism), the killing of babies in the womb through abortion, and the list goes on and on. We see the greed of people and their nefarious activities through the evil use of wealth, which is a sign of division between such a person and God. We know the truth of the saying, “the love of money is the root of all evil.” When a person loves money and what he/she can do with it for their own purposes rather than God’s purposes, then we see how deception, division, and destruction can occur all around us. Satan is the great destroyer. He is a serpent trying to deceive God’s people. He is a bird trying to despoil God’s harvest. He is a wolf trying to defeat God’s flock. He is a lion trying to devour God’s children. He is a dragon trying to destroy God’s Son. Satan is consumed by his obsession to destroy the work of God in the universe, and specifically on Planet Earth. Dr. Jeremiah goes on to say that Satan will do anything – destroy, wreck, ruin, kill, inflict grief, disease, pain, and anguish – to cause the victim to blame it all on God. Unfortunately, such a strategy often works. But the faithful can stay steadfast through it all because they know Who wins in the end. Recall all of Satan’s attempts to embitter Job? He destroyed everything in Job’s life – except Job’s faith in God. And when Satan couldn’t achieve that, God restored everything that Job had lost. The account of Job is an illustration of what we must do today. No matter what happens, we must be steadfast and strong in our faith. I know it’s hard – especially when we lose a loved one. But the promises of Jesus Christ lift us up and give us a hope that is beyond anything that this world could possibly offer! Jesus told us that “he is not of this world” (see John 8:23) Jesus also told us, “in this world you will have trouble. But take heart! For I have overcome the world” (see John 16:33). Jesus Christ overcame the world at the cross! Confession and repentance of sin and simple faith (like that of a child!) in Him and what He did for the redemption of mankind at the cross is all that is needed. Jos 24:14 “Now therefore, fear the LORD, serve Him in sincerity and in truth, and put away the gods which your fathers served on the other side of the River and in Egypt. 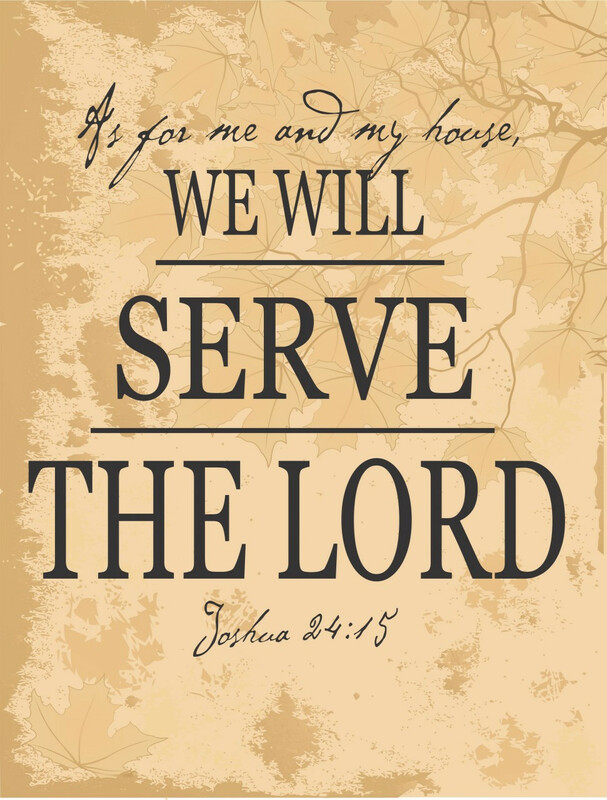 Serve the LORD! In recent posts, I have attempted to steer clear of all the scandals going on in this current wretched government. However, it is difficult to not point out the terrible treasonous and traitorous crimes that the current puppet in the White House is being told to inflict upon our beloved nation by one of the country’s worst enemies – George Soros. He, along with the Muslim Brotherhood (which has been meeting at the White House so often there must be a path worn through the grass), are creating a putrid stew of evil actions, scenarios, propaganda, and deadly events that are drastically harming the USA; and have the ultimate intention of completely destroying all that we hold dear in our country. After all, there was a large segment of the population in Hitler’s Germany that “worshipped” the dictator. They closed their eyes to the reality of what Hitler was actually doing; believing the propaganda that was being spewed to their countrymen. And, for years the horrible evils of The Third Reich seemed to flourish. Except, of course, when the Allied Nations (including the United States) entered the war and stopped what at first, seemed to be the unstoppable evil of the Nazi regime. It took a lot of blood, lives, maimed and injured soldiers, heroism, and treasure to accomplish. The Greatest Generation will continue to go down in history as the generation that saved the world from destruction by the evils of Nazism, tyranny, Communism, Imperialism and totalitarianism. Unfortunately, the generations after the Baby Boomers have been too distracted by their own selfishness, video games, iPhones, and online communities to even notice that what is happening via the Obama/Soros regime is as dangerous as all the “isms” of the past. But now, we have radical Islamism to add into the swirling cesspool pit – which is hell-bent and designed to take both Israel and America into submission; with the ultimate goal being power, suppression of freedoms, and ultimately, the satanic goal of every evil regime: physical, emotional, intellectual, and spiritual harm and death. Satan’s playbook never changes – just the chessboard zombies who have succumbed to the evil one do. Well, we now have our own type of Nazi regime – this one could be labeled the Communist/Islamo-Fascist Progressive Horror regime. Unlike in Hitler’s case, this Evil Machine is being led by a shadow government; which isn’t so shadowy to those of us who do their research and are paying attention. In a stunningly accurate and compelling opening statement, Judge Jeanine Pirro tells it like it is – and courageously calls for Zero’s removal from office. The high crimes that are piling up cannot be tolerated anymore. Something NEEDS to be done. But will it? Only God knows when and how it will happen. There is a sacred trust between a country and its leader, between a president and the people he leads. When a leader violates that trust, the people from whom he derives his power have the inalienable right to remove him. You may agree or disagree with what I’m about to say; it’s not meant to be political. Whatever the context, when you let things slide – one after another – the foundation deteriorates. Even water sliding down a rock begins to wear at it and break it down. And like that rock, our very existence is in jeopardy. Barack Obama has put us in that jeopardy yet again. The latest: exchanging a man whose own platoon soldiers call a “deserter,” who voluntarily left his unit during combat – in itself a death-eligible crime – for five of the worst Taliban terrorists in Gitmo. What? Even the White House had to re-spin that. Now Susan, isn’t English your first language? Weren’t you briefed on what to say? And not for nothing, don’t you know that those Sunday morning talk shows are a danger zone for you? But then again, that despicable video lie got you moved up to national security adviser. Pray tell, Susan, is it OK to leave some behind? But when key senators didn’t buy the “ill” excuse, a new narrative emerged: the Taliban would kill Bergdahl if you followed U.S. law and told Congress. Seriously? Mr. President, my sources tell me you knew Bergdahl’s location for months. Why didn’t you send in SEAL Team 6? It would have made another great photo op. Why didn’t you send in those drones? Could it be, Mr. President, he was your excuse to release 5 Taliban terrorists from Gitmo? Those five men, the worst of the worst. Some wanted by the U.N. for mass murders, killing thousands, al Qaeda-connected, these are the guys who behead their enemies, including children. They hate America and everything we stand for. And you release them – knowing many return to the battlefield – because Arab country Qatar assured you that they do not pose a threat to us? And you’re good with that? You buy it? You think 12 years in Gitmo has softened their resolve to kill us? Mr. President, you didn’t just release them, you unleashed them, and you and you alone will be responsible for the hell that will be unleashed on us. You have teed us up for death and destruction. And don’t give me this hogwash that they are prisoners of war who have to be freed when we leave Afghanistan. They are not prisoners of war. The Taliban is not a country. They are enemy combatants who can be held indefinitely and should have been tried for their crimes. And as much as you want to take terms like “Islamic extremists” and “jihad” out of our lexicon, the War on Terror is far from over. You didn’t have to release them. And I don’t give a damn whether you try them at Gitmo, in a military tribunal or in a federal court. United States attorneys have prosecuted these dirt bags and convicted them time and again. Here’s the bottom line: you negotiated with terrorists. You broke the very law that you signed. You have shown terrorists that they can win concessions by kidnapping Americans. In the history of this country we have never traded mass murderers for a deserter. My father and grandfather fought in World War II. Ironically, you go to Normandy 70 years later – where my grandfather was injured – and make like you respect the military. You call yourself a commander-in-chief. But what commander-in-chief doesn’t support a surge, but sends in 40,000 troops anyway? What commander-in-chief reduces benefits to to those in the military? Closes the Veterans War Memorial? Reduces the army to pre-World War II levels? Knowingly allows veterans to die in our hospitals, while replenishing the enemy in a time of war? New York Times bestselling author Ben Shapiro presents a comprehensive case against President Barack Obama’s abuses of power during his time in office. The book details how Barack Obama’s administration has become a labyrinth of corruption on display with blatant overreach impacting the daily lives of Americans. So many scandals surround this White House including: DOJ, NSA, IRS, EPA and the Department of Health and Human Services. Digging beyond the liberal media’s constant propaganda – this book takes an exclusive look at the administration to reveal a regime motivated by pure, unbridled power. Behind the scandals, lies a trail of evidence that reveal dozens of instances of as-yet-unprosecuted counts of espionage, involuntary manslaughter, violation of internal revenue laws, bribery, and the obstruction of justice. Today, Obama presides as the quintessential example imperial presidency. His actions and his favoring of executive action showcase his unchecked power. He decides what laws to enforce and when to do so. He uses his power to enforce immigration laws, delay his own Obamacare proposals (only because it is politically convenient to do so), micromanages the economy, attack the Supreme Court, Congress, and the sovereign states. Along the way, he parlays messages exclaiming he alone is the voice of the people – all the while encroaching on our rights. In The People vs. Barack Obama, Ben Shapiro brings Obama into the courtroom and addresses his consistent abuse of power. Now THAT’S a book that I need to read. Every American should read it too! When I return to posting either today or later this week, I will discuss what God’s Word (through prophecy) tells us about “such a time as this” and how we, as Christians, can be prepared for what is coming. Roma Downey, co-producer of both The Bible mini-series on TV and the Son Of God movie in the theaters, appeared on Fox and Friends this morning to announce that the Son Of God movie is being released in DVD form. When Son Of God was in the movie theaters, I was treated to a ticket to the movie by my dear friend Kelly. We watched each scene, with tissues in hand, experiencing both joy or sorrow as the movie progressed. Seeing the life of Christ reenacted in such a beautiful way was stunning! However, seeing what Jesus, our Lord and Savior went through for the salvation of our souls is always sad, difficult, and deeply emotional to watch and recall to mind. I remember seeing The Passion of the Christ for the first time in the theater. The scourging and crucifixion scenes were so brutal, it was very difficult to watch. I can’t get through the movie without weeping. Groups of us from church attended the same screening, and as the lights came back on at the end of the movie, the head pastor walked to the front and briefly spoke about the Gospel; inviting unsaved guests who attended with their Christian friends to come forward to receive Christ and/or ask any questions that they may have had. It was an awesome scene!!! EVERYONE in the theater was sobbing! However, the brief resurrection scene at the end of “The Passion” movie turned our sorrow into joy, just as the Bible said it would. “Most assuredly, I say to you that you will weep and lament, but the world will rejoice; and you will be sorrowful, but your sorrow will be turned into joy. “You are of your father the devil, and the desires of your father you want to do. He was a murderer from the beginning, and does not stand in the truth, because there is no truth in him. When he speaks a lie, he speaks from his own resources, for he is a liar and the father of it. Jesus was talking about satan – the father of lies. Satan was once a glorious angel of God named Lucifer. However, when he didn’t want to keep his place and worship the Lord thy God, he craved worship for himself instead. Lucifer was cast out of heaven and fell to the earth where he roams to destroy mankind and lead them towards his wicked ways and away from God. Those who don’t believe that satan exists would be calling Jesus a liar. The Bible, and Jesus himself in the New Testament, both spoke of satan and hell. We are told unequivocally, that hell is real and is a place to be avoided. To me, there is no better example of what satan attempts to use in order to get people to “worship” him and sin against God than when Jesus was tempted in the desert. In Matthew 4:1-11, we read of how satan tried to tempt Jesus away from His mission to save the souls of mankind. This is where I must write that I thought it was a grave mistake for Roma Downey and Mark Burnett to completely write satan out of the script for the movie, Son Of God. That scene was entirely eliminated from the movie! Because the satan character was portrayed in such a way (with make-up etc.) that he ended up resembling Barack Obama! As you can see from this comparison, the actor (without makeup) doesn’t resemble Obama at all. When the controversy erupted over this likeness during The Bible mini-series, both Downey and Burnett (apparently supporters of Obama) decided that there was “too much satan” in the original account. Therefore, they eliminated all appearances of satan in the movie Son Of God. 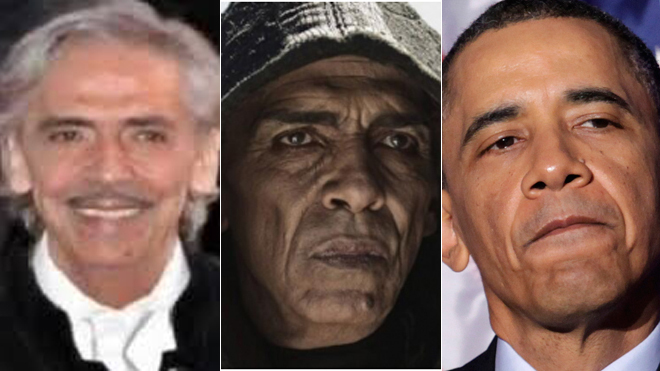 Apparently, they didn’t see the resemblance (to Obama) of their choice for the character of satan until thousands of viewers noticed it. Several days after viewing the movie, I watched the portion of The Bible mini-series where Jesus was tempted by the devil in the desert. They did a great job of showing a clip of Jesus sitting with a crown in satan’s court vs. Jesus dying on the cross for mankind. After all, Jesus knew his fate. However, we know that Jesus Christ is crowned King of Kings and Lord of Lords at the Ascension into heaven and sits at the right hand of God the Father! He will be the One (and, the only One who could!) open the scrolls at the End of the Age. What satan tried to offer Him was counterfeit – typical of what the devil does all the time. The counterfeit things that people on this earth “worship” that are not of God and break His Commandments are exactly what the devil wants – so that it will lead them towards worshipping sin, evil, and death which is what satan wants all along. Personally, I thought that this was a huge error on the part of Downey and Burnett! Just because the character portraying satan looked like Obama wasn’t a good enough reason to write satan out of the script. Because of that decision, the temptation of Jesus in the desert wasn’t even in the Son Of God movie!! I don’t mean to be critical of this film or Downey or Burnett. But it appeared to me, and must be very obvious to those paying attention, as though “political correctness,” once again, trumped the truth of what the Bible teaches about the life of Christ during his three year ministry on earth. Personally, I see this as a huge mistake. Other than that snafu, the movie Son of God was excellent! Of course, no movie portrayal of Jesus Christ will ever be perfect. However, this new generation needs to be introduced (and, in some cases, re-introduced) to Jesus Christ, the Son of God, Savior and Lord of the universe. It is my continuing prayer that more people, young, old, of every political, social, and religious persuasion, will consider the Gospel of Jesus Christ.